This is an awesome little speaker! The Xoundstar is just unbelievable. I could not believe how easily it hooked up to my iPhone and started to play music! This hooks up quick, play quick and the sounds quality is great! 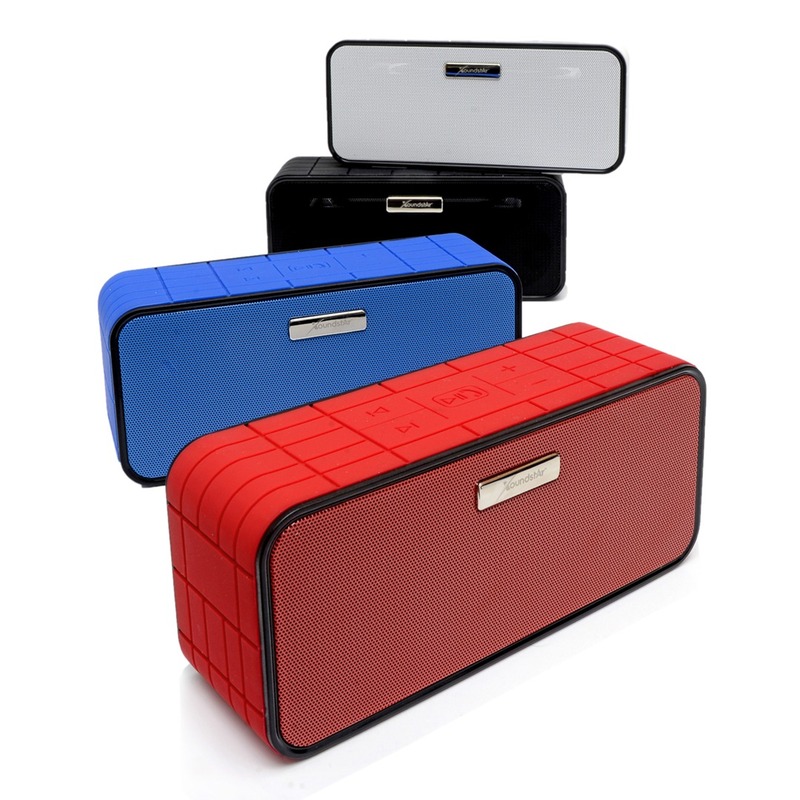 The size is good, compact enough to fit just about anywhere, and it is powerful enough to make you feel the music. If you had this sitting on a table or in a bookshelf you would not notice it, but you would notice the sound. 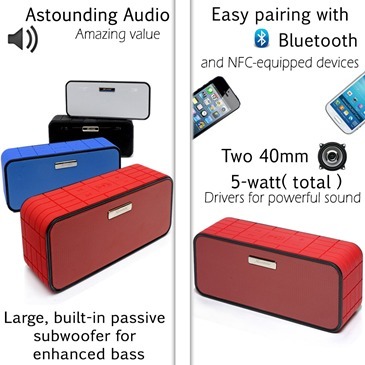 You can enjoy great sound and operatte your phone hands free with this speaker. You can connect to your phone, laptop, desktop or any other bluetooth compatible device and listen to music, movies, or TV, even answer your phone with it. This is a small speaker, but the sounds is not small at all. It reminds me of the boom boxes of yesterday! It really has big sound! Designed for superior performance, the speaker gives you a high-quality sound experience with full-spectrum audio and superb clarity. Once your wireless speaker is paired with your Bluetooth device, you can easily control the volume, play and pause, and skip to the next or previous song. Just press the “Talk” button on the speaker to activate your SIRI-enabled device and you’re ready to speak and interact with SIRI. When fully charged, the Xoundstar gives you up to 10 hours of audio play. If you want to get your own go here and purchase through Amazon! Great gift idea for the music lovers in your life.